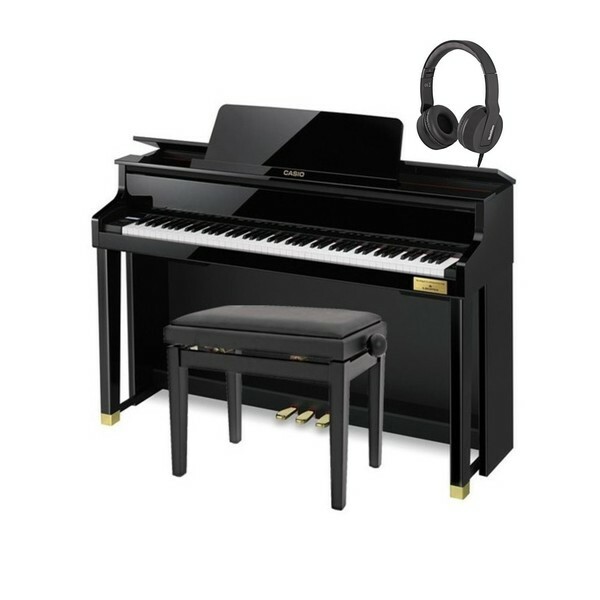 The Casio Celviano GP 500 Grand Hybrid Digital Piano combines an acoustic-styled response with digital enhancements for the optimum authenticity. 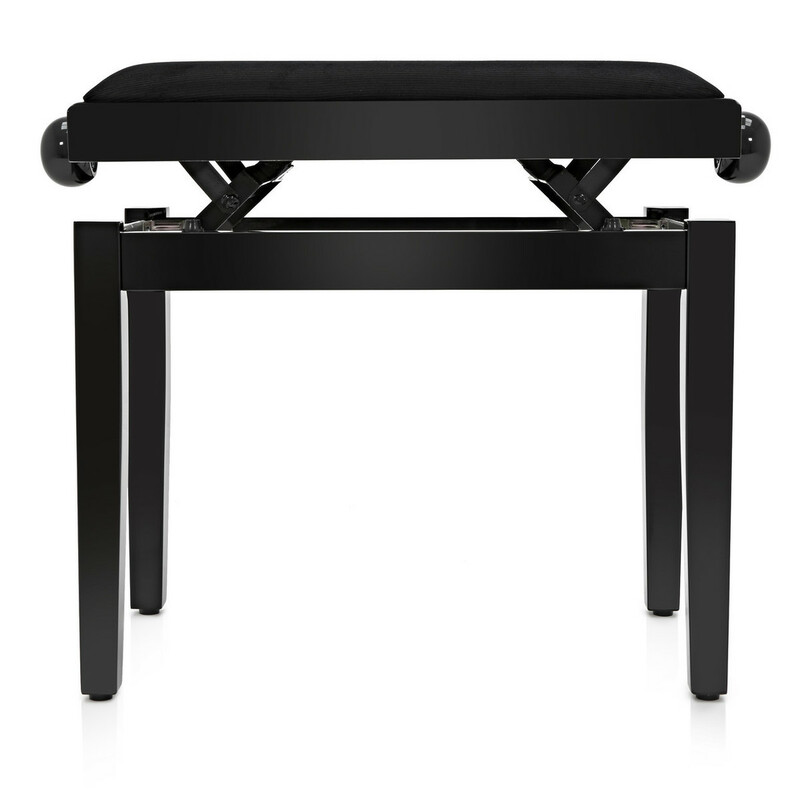 The fully weighted, hammer action keyboard has a response and feel similar to an acoustic piano. The tonal possibilities are endless with the GP 500 thanks to the 35 built-in tones that cover a full range of styles and time periods. 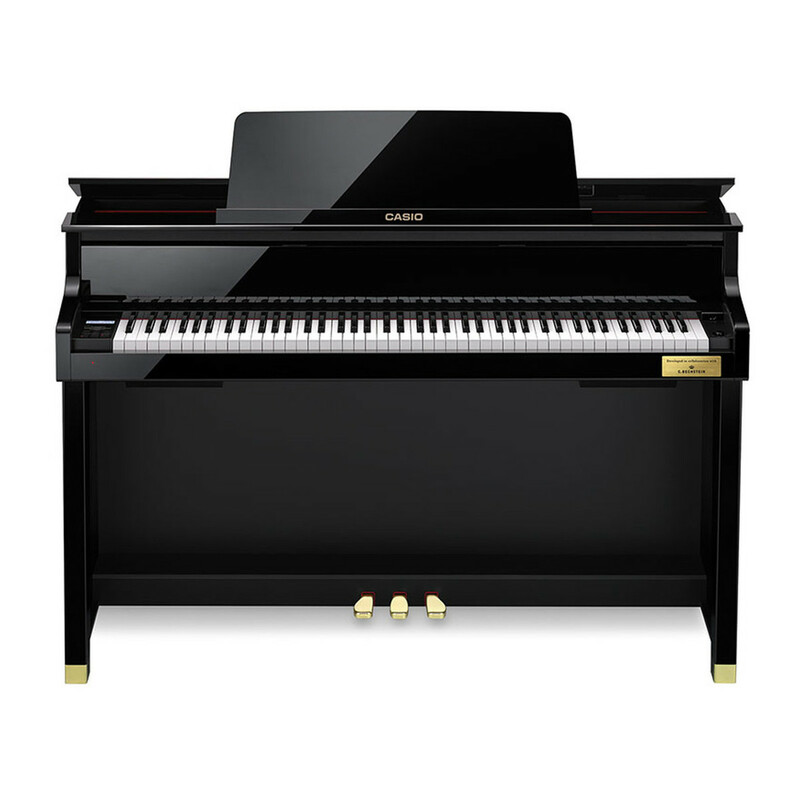 Through meticulous craft and assistance from legendary acoustic piano manufacturer C. Bechstein, the GP 500 will allow all players to perform at their finest. 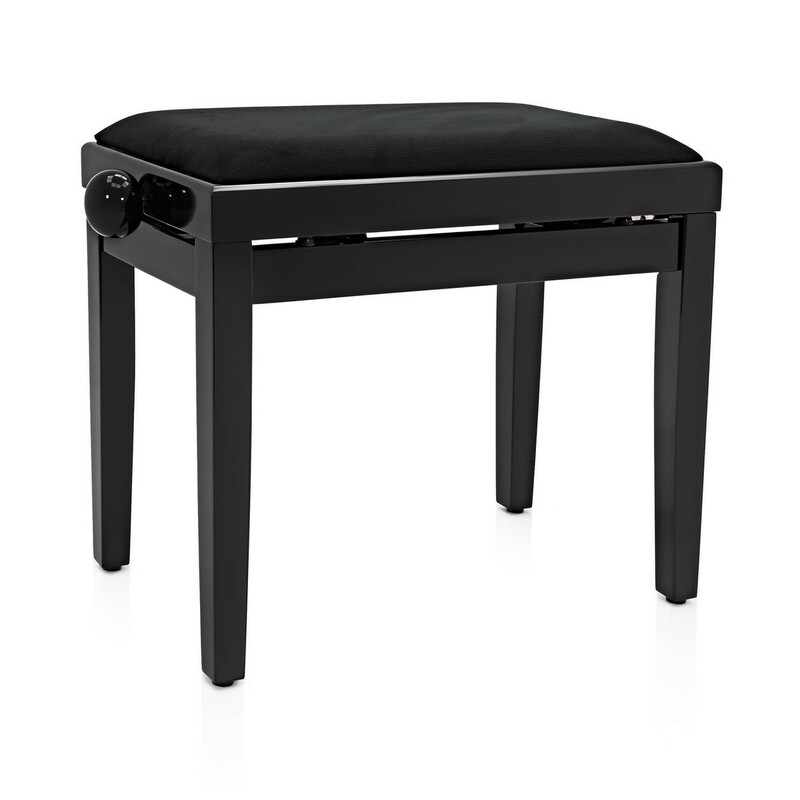 This exclusive bundle also includes SubZero SZ-H100 headphones for silent practice and a Gear4music adjustable piano stool. C. Bechstein have been one of Europe’s most important makers of grand and upright acoustic pianos for over 160 years. Their grand pianos have been the first choice for the world’s most famous composers and performing artists, from Franz Liszt to Bob Dylan. 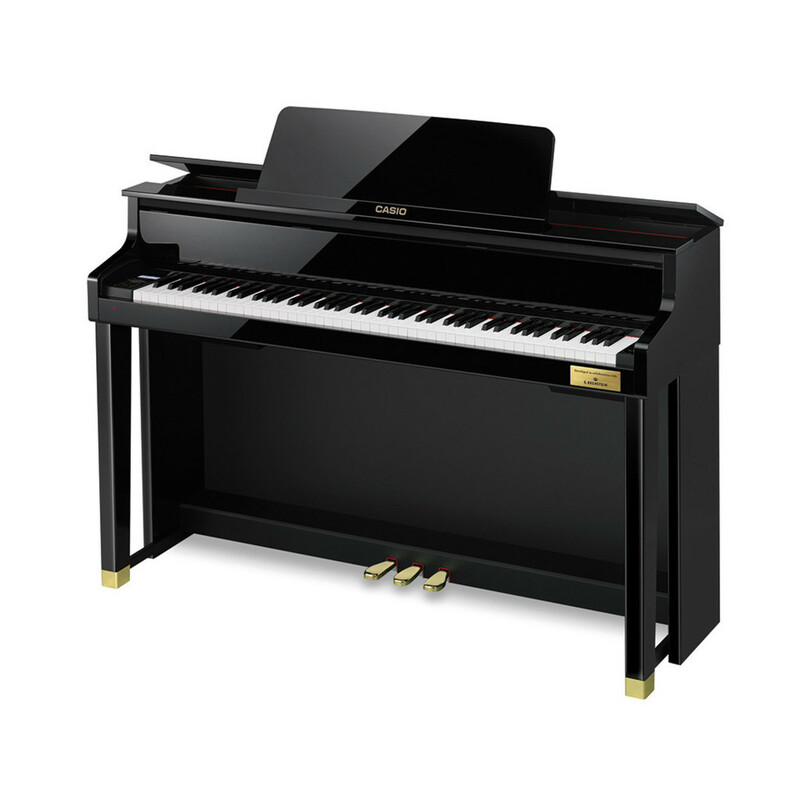 C. Bechstein worked closely with Casio to ensure that the key action in the Celviano Grand Hybrid Series responded as closely as possible to the key action in one of their own famous grand pianos. Similarly, the samples used to create the GP-Series’ piano voices were taken from C. Bechstein’s world-renowned D282 Concert Grand Piano. 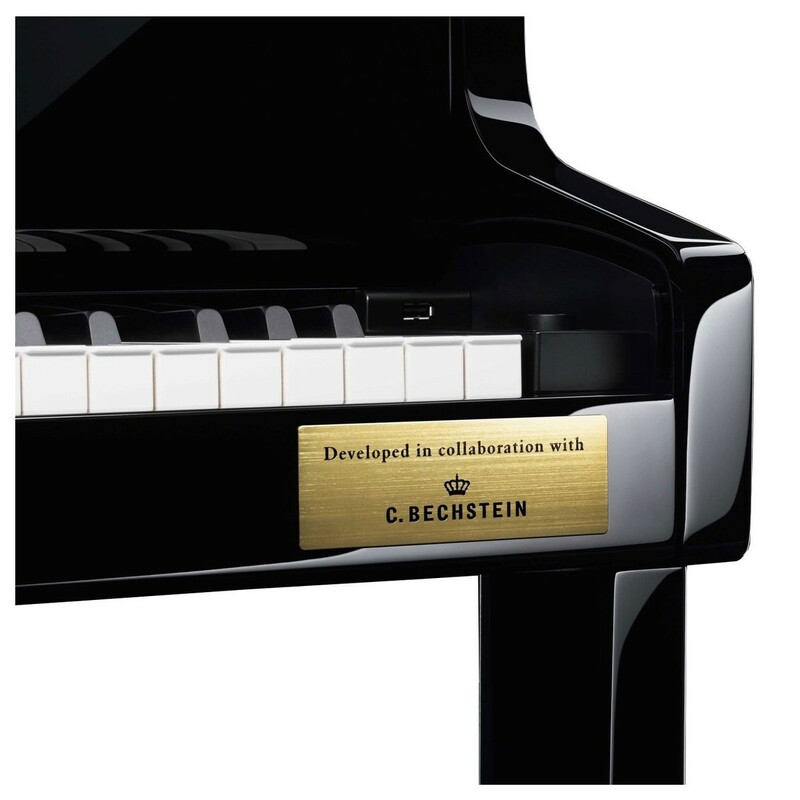 This collaboration between Casio and C. Bechstein has led to a digital piano that perfectly combines tradition and innovation. The GP500's new Natural Grand Hammer Action keyboard retains the authenticity necessary for classic performance, thanks to piano keys that feature the same full length wood used as the C. Bechstein concert grand pianos. 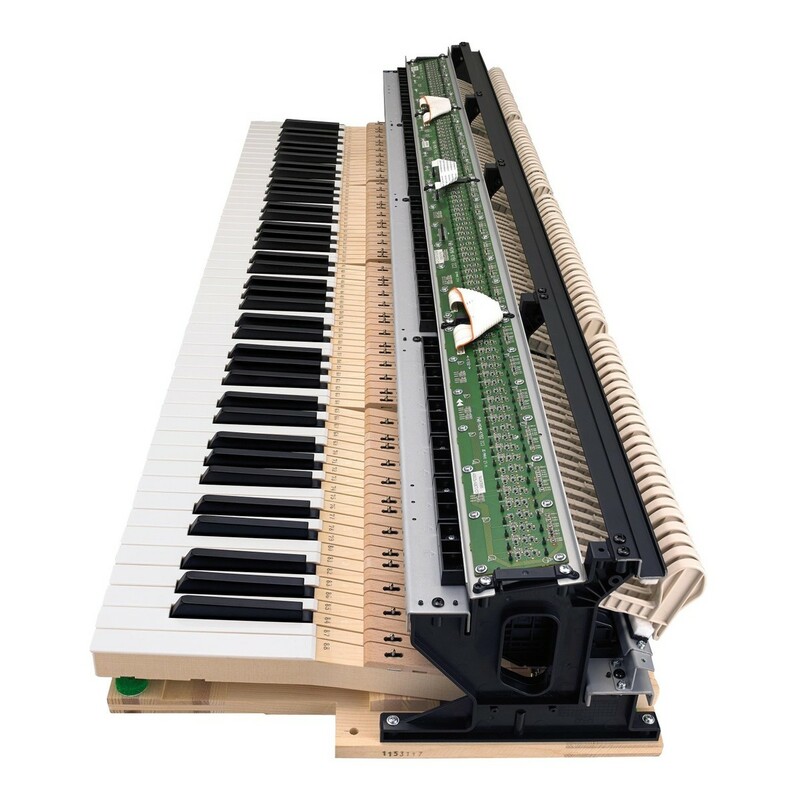 The GP500 shares a grand piano's keypress format by sending the hammer along a vertical path, delivering a true, whole touch that puts the GP500 at your fingertips. The GP500 inhabits a six-speaker amplification system, which is effective at providing a wholesome, rich sound. The Grand Acoustic System delivers three dimensional sound, which leaves it closely reminiscent of a truly acoustic grand piano. 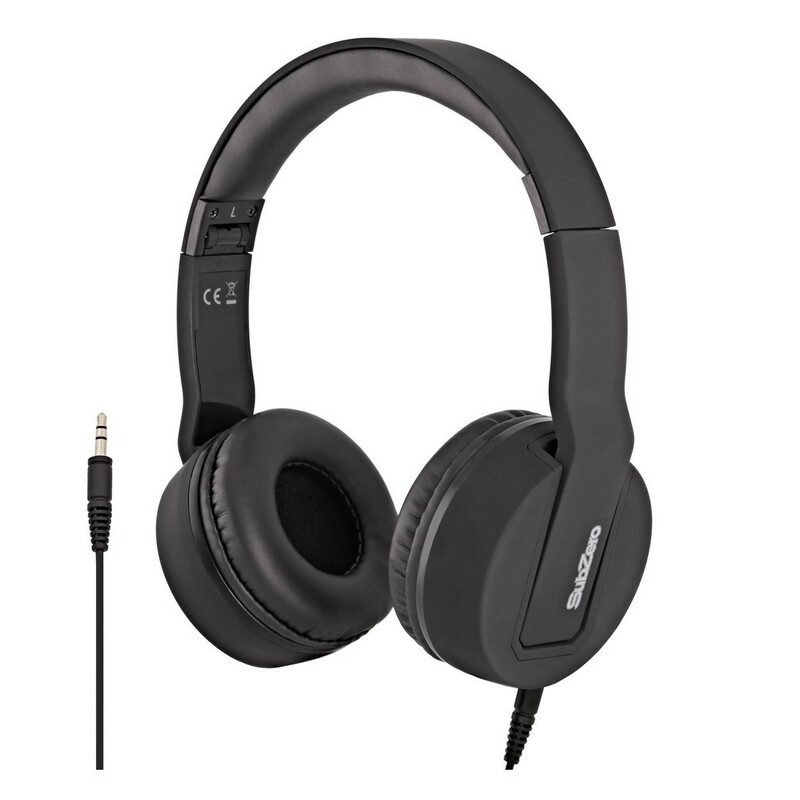 By having the speakers face three directions, the GP500 can comfortably deliver classic sound to both the musician and the audience. AiR Grand Sound Source technology is incorporated in the GP500, resulting in accurate sounds of three definitive grand pianos. Each of the three settings, Berlin, Hamburg, and Vienna, offer a representative body and sound that closely study and deliver each of of the distinctive pianos they recreate. 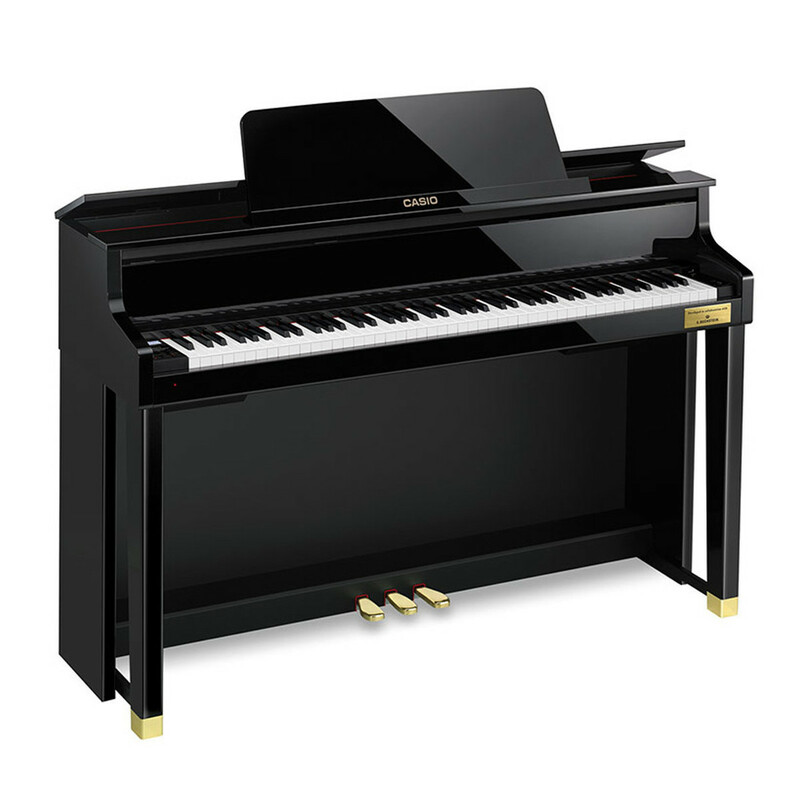 This results in the GP500 being an ownership to three of the piano’s most respected and sought after sounds. For peace of mind, Casio are happy to provide a pan-European warranty on Grand Hybrid, Privia (PX-770 and PX-870 only) and Celviano (AP-270 and AP-470 only) products where a technician will visit your home for any repairs. 3 Years on-site parts and labour for Privia and Celviano products and 5 years for all Grand Hybrids. Please note, these warranties will be valid once registered with Casio.